Parvaid: ULTRA CONCENTRATED! 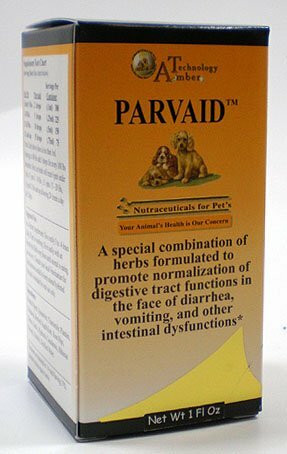 An aid for Parvo, vomiting, diarrhea (bloody), loss of appetite, gas, bloat and intestinal cramping. This formula can also be used as a preventative to stimulate and support the immune system when a dog may have been exposed to any health threatening condition (rather like an all natural "herbal immunization").